So I’m having people over tonight and needed to swing by WF for some snack stuff. One of the things I was gonna do was get one of those Amy’s roasted vegetable pizzas (cheeseless) and cut it up into little foccacias, as suggested on the box. When I got to the isle though, I had a happy surprise! 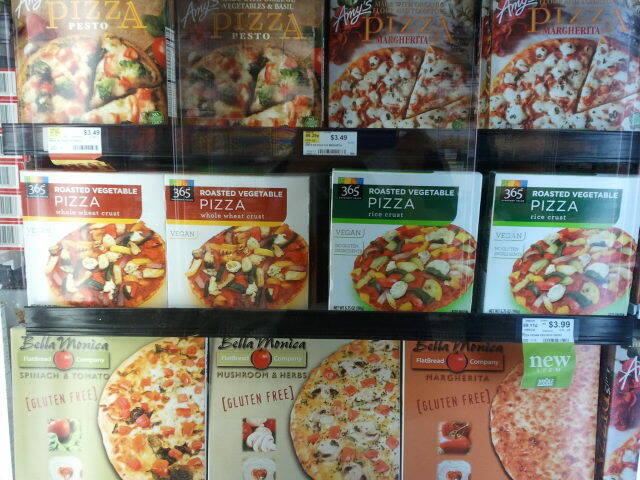 Several new vegan pizza choices and Amy’s new vegan burgers. 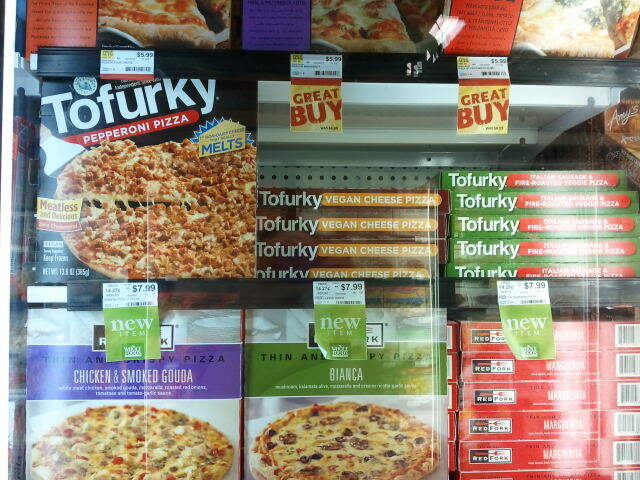 Then I saw… Tofurky’s new pizzas… 3 kinds! They had all three of the new flavors, Cheese, Pepperoni, and Italian Sausage. I got the peperoni and italian sausage ones. The cheese one doesn’t have any soy in it. The “meat” ones do. The cheese appears to have Daiya like ingredients, so they should be really yummy. I had seen these pop up during that natural foods convention recently, so it’s nice to see the new products hitting the shelves. 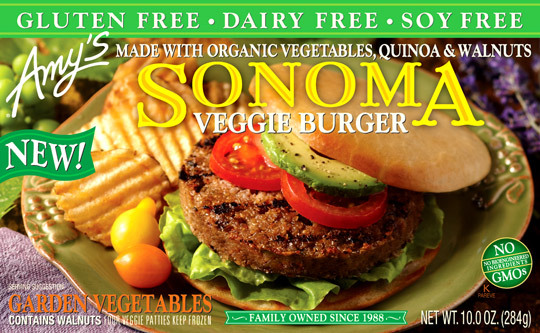 Speaking of that, I also found Amy’s new Sonoma vegan burgers on the shelf, so I picked up a pack of those. It’s a gluten and soy free product made with quinoa and walnuts! I will have to let you know how these work out! Have a great weekend!